Around this time of the year I love looking at all the bright, bold and geometric nails that people have put together for Coachella. 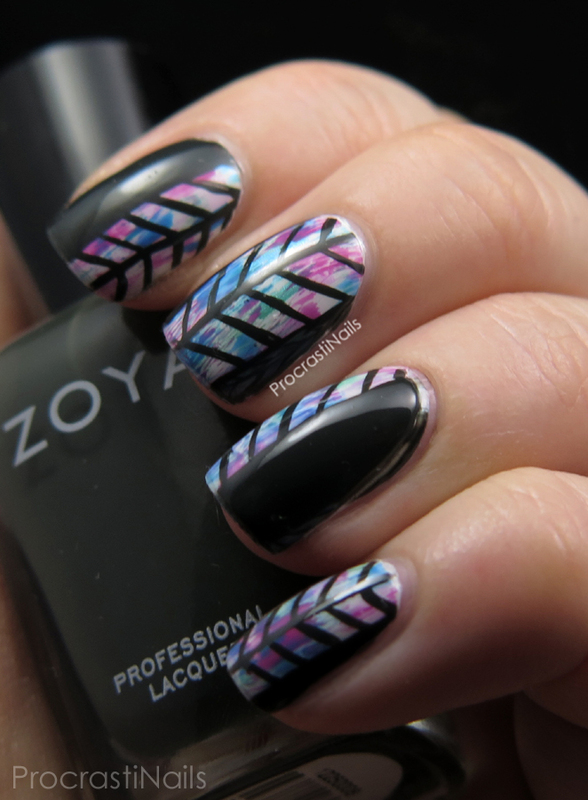 In that spirit I’ve decided to share some nails that I put together a little while ago featuring a bright mix of colours and a herringbone design. I’m not a music festival type of person but if I was I would definitely rock a look like this when I went! To get this look I started with a base of Essie Blanc and then did a quick dry brush with most of the shades from the CND Vinylux Garden Muse Collection. 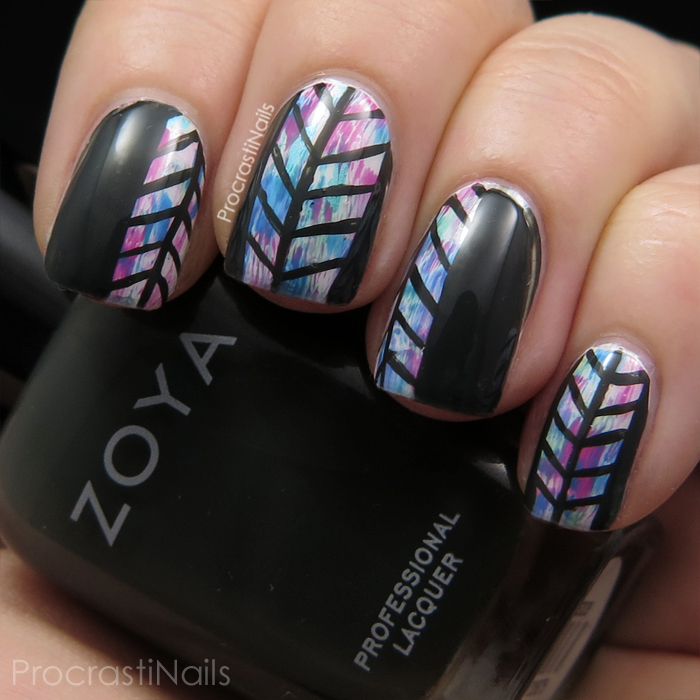 When that was dry I used my Julep Plié Wand and striping brush along with Zoya Noot to freehand a colour blocked herringbone design. It was super simple to do and I'm in LOVE with how it turned out! Doing a dry brush design is such a quick and gorgeous way to do a base for a design. I like how using multiple colours results in some overlap which makes even more colours! I'm excited to head into spring and summer. It means I can pull out all my bright and bold colours, and I feel I'm also more interested in doing fun patterns on my nails during the summer. In the winter I tend to stick with bold lines and deep colours. What about you? I'm in love with how this turned out too! These look great! With the black accenting it, it makes it so much more edgy. Love this! The white with sagebrush works great with the black! I love the distressed/tie dye look underneath. The herringbone on top ties it all together so nicely. Great job! Oh wow this came out so stunning! You did a fantastic job. Aaaah, this is such an amazing look! I love how bold the contrast is :). Can't tell you how much I looooooove these!!! This is so gorgeous! 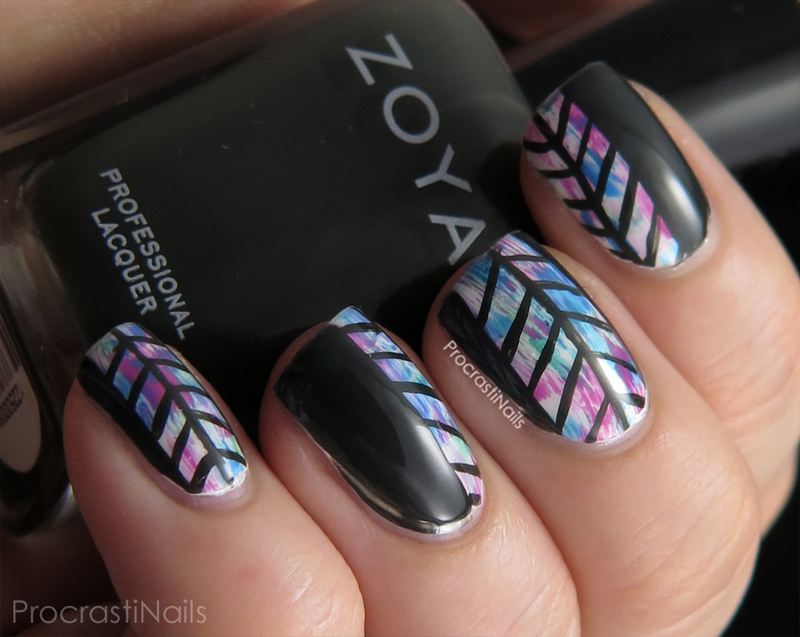 Love the brights under the bold black! oh my goodness, this is GORGEOUS! Dry brushing is the best, and I love how you finished it with the herringbone pattern.